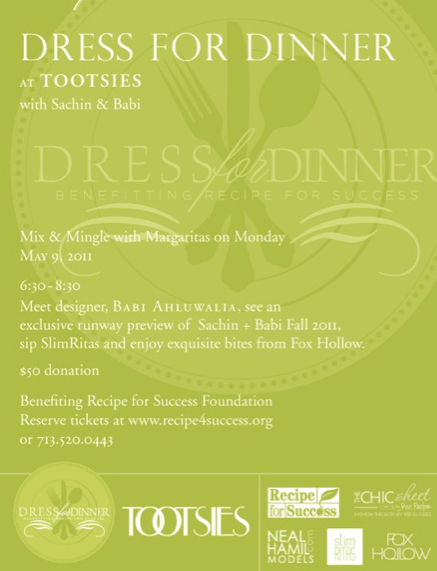 Tomorrow night at 6:30pm I will be attending the Dress for Dinner Event featuring Sachin + Babi! I’m looking forward to chatting with other local fashionistas, meeting the designer and seeing the new collection! Check back for pictures this week!